Discreet or Elaborate Walkways play a key role in your overall landscape architecture. Walkways provide the finishing touches to a fully developed plan. A concrete walkway enhances curb appeal to any home. Versatility, whatever your plans, there’s Belman Living perfectly suited for bringing your design dreams to life. Custom build your ideal Outdoor Living, a little at a time or all at once. A good mixture of concrete and paving stones can create a lasting impression. Pavers around pool are great for providing a comfortable walking path. Our paving stones provide a safe, nonslip walking surface. It enhanced the overall appearance of the pool and the surrounding landscape. Your Outdoor Patio space should comfortably accommodate the number of people you typically entertain, yet also feel intimate when it’s just you and a glass of iced tea. With Belman Living Patio and Sitting area will serve as the seamless transitional space between your house and garden area. You’re going to love Living Outdoors once your project is complete. So plan an area you, your family and guests can really enjoy. Building Retaining Walls for outdoor spaces redefine Living Retreats. There’s nothing quite like enjoying the pleasures of an evening dinning alfresco. Extending your Living Space to the outdoors is no longer just a trend, but a lifestyle worth attaining. Retaining Walls are designed to bring elegance and warmth to a wide variety of architectural styles. It’s the final details that make an ordinary project an extraordinary one. Architectural Accents from Belman Living are no exception to this philosophy. Nothing makes an entrance like a Driveway crafted with the distinctive elegance of Color, Shape and Texture. Simple as these three natural attributes may seem, they’re the essential qualities that compromise the basis for transforming outdoor spaces into totally unforgettable places. When Belman Living Concrete Driveways are crafted to work in harmony with your hardscape design, the result is nothing short of remarkable-giving you the ability to turn Driveways into captivating areas. You’ll be proud to share with friends and family. Stamped Concrete adds life and character with an attractive and durable finish. Stamped Concrete is functional, decorative, adds value to the home and lasts the lifetime of the concrete, with proper care and maintenance. Stamped Concrete is the process of adding texture and color to concrete to make it resemble stone, brick, slate and cobblestone. This limitless array of possibilities combed with great durability and lower cost than natural products makes Stamped Concrete an easy choice for new construction and renovation projects. 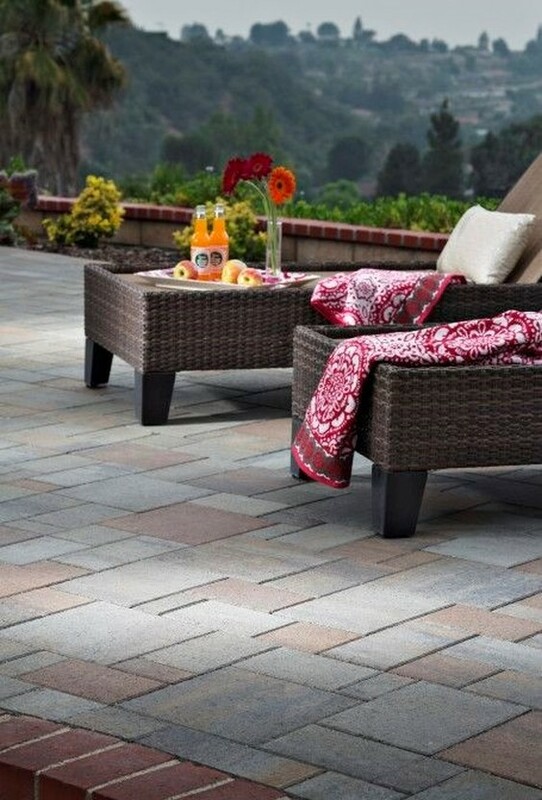 Stamped Concrete cost less than other authentic materials such as stone, slate or brick. It still gives you the look of expensive materials without compromise too much. An outdoor fireplace can be your focal point for your landscaping design and functionality. Having a fire pit is the best way to bring friends and family together for fun and conversation. Whether you need some privacy or enhancement for your landscape design. Retaining walls play a major part of the core design. Brick walls make it even better. Enjoy outdoor activities all year long by adding a patio cover in your backyard.